A page for Joliette, Quebec from the first Census of Canada, 1871. Can you find the entry for Adolphe Perrault? Times change: Perrault made his living as a voyageur! As time passed, census data would feed social policy. Many programs by which Canadians define themselves are the result. Before I came to LAC, I was a post-doctoral fellow on the People in Motion research project at the University of Guelph. 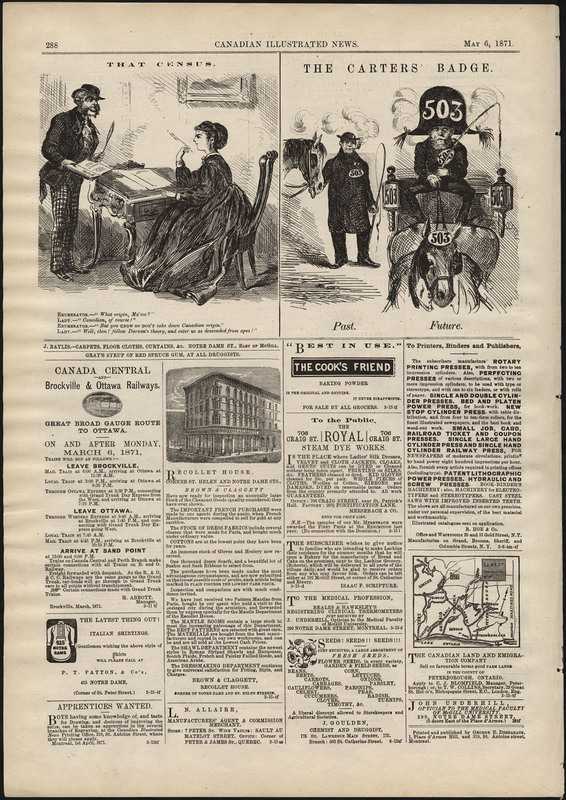 Our goal was to develop an algorithm linking the 1871, 1881, 1891 and 1901 Canadian censuses together, to create a database of thousands of records that researchers could use to explore important questions about post-Confederation Canadian society, including health transitions, occupational changes and migration mobility. In the course of my own research, I became interested in changes that show how Canadians have viewed themselves over time. Ever since Intendant Jean Talon ordered the first census of the European population of New France in 1665–1666, the precursors to modern-day Canada were keen on learning about the demographic, social and economic aspects of their populations. LAC is the repository for many of the surviving documents of these censuses, including a near-complete collection on microfilm of the handwritten forms filled out by the individual enumerators (census takers) who went door to door in 1871 collecting information for the first census after Confederation. Enumerators were required to complete up to nine schedules (forms), which covered population characteristics, deaths, economic activities and the like. What made the Canadian census unique was a question on Schedule No. 1 (Nominal Return on the Living) that asked for information on a person’s “origins,” an important issue in a country with four different provinces, a wide variety of cultures, and political tension between two major linguistic groups. What was meant by “origin”? 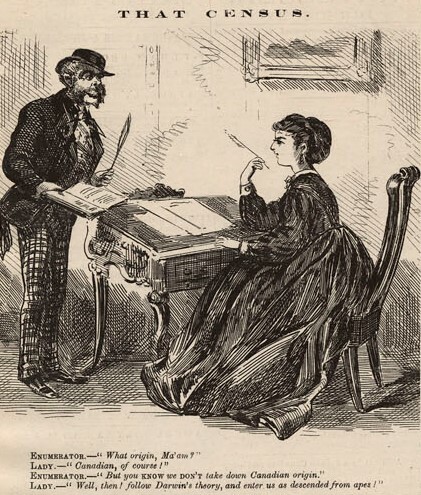 The manual containing the instructions to enumerators did not provide much detail, except by example: “Origin is to be scrupulously entered, as given by the person questioned . . . by the words English, Irish, Scotch, African, Indian, German, French, and so forth.” With a few exceptions (“Indian,” “Half-Breed,” “Hindoo” and “Jewish”), the answers corresponded with countries of origin rather than culture per se. Ironically, for the first national census the answer “Canadian” was not an option because the designers wanted clear lines drawn between English and French, and other groups. Allowing “Canadian” might reduce the size of one group or another, with worrisome consequences for both political representation and cultural pride. Not only a fine joke, but also an astute observation. What was a person’s origin anyway? How far back should one go? If birthplace was not considered (it was recorded separately), then was it the father’s cultural heritage, or the mother’s? And why couldn’t people whose families might have been resident for centuries be considered “census Canadians”? According to the guidelines, while the enumerator in the cartoon could have been justified in entering “primate,” in practice the enumerator entries were all checked before counting and changed if they were determined to be inappropriate. In this way, thousands of self-described “Canadians” (and also “Americans”) were reassigned to another origin, usually based on their surname, and when the origin totals were published in the fall of 1871, “Canadian” was not a category. Over the 20th century, a sense developed that origin should be less about the national ancestry of a person and more about the person’s cultural background: what eventually came to be called “ethnicity.” With this understanding, the origin questions in 20th-century censuses came to rely on the ethnicity of the person’s first paternal ancestor who came to Canada. 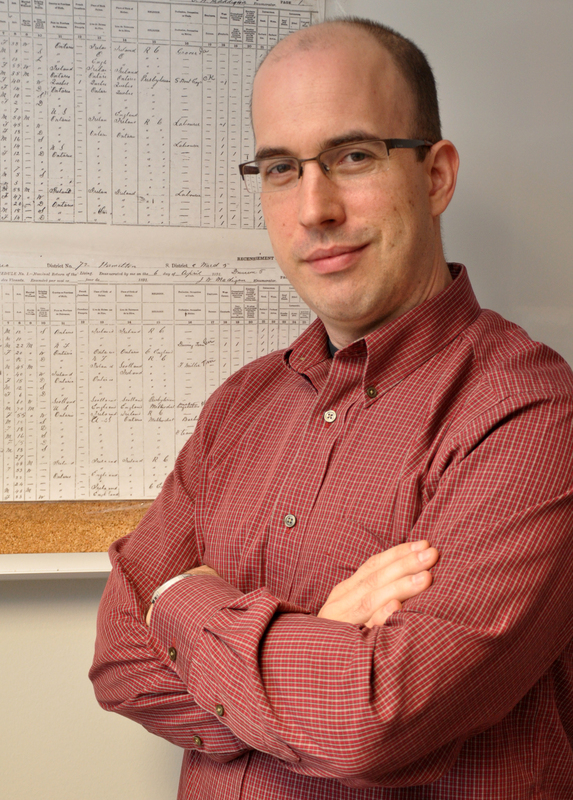 J. Andrew Ross is an archivist in the Government Records Branch of LAC. This entry was posted in Exhibitions and tagged Canada150, Census, exhibition by Library and Archives Canada Blog. Bookmark the permalink. 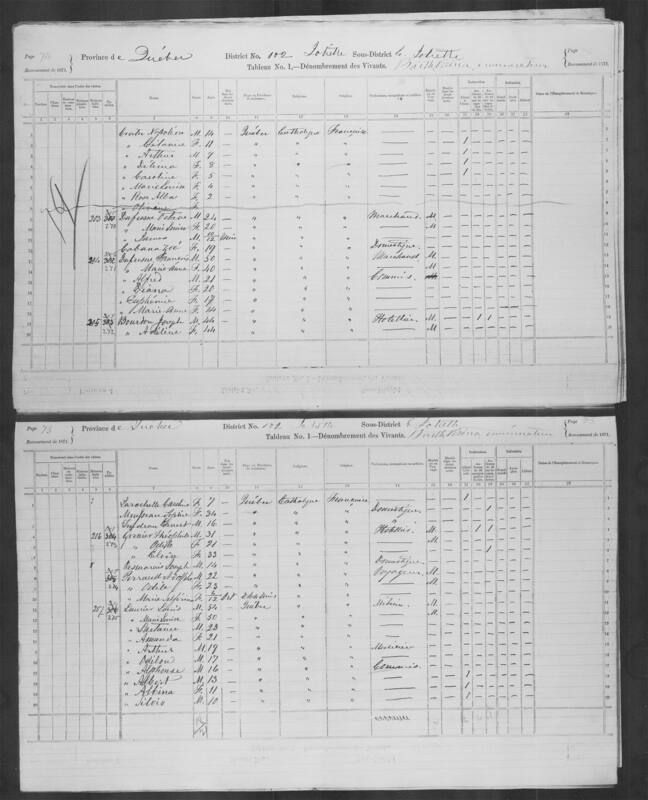 Loved this article, and as a genealogist, it is a valuable help when looking at our census records. Thank you. Thank you for your kind words. I am glad that the article clarified some aspect of Canada’s census history.